MS Dhoni and the team have always surprised us in more ways than expected. The Chennai Super Kings, for the fans, has been more than just a cricket team, rather has been as a part of their life. The Chennai Super Kings as well, are considering themselves not just as a cricket team, but as a socially responsible unit. Now, the Director of CSK, Rakesh Singh as announced that all the funds that are collected through the ticket sales of the first match between the Chennai Super Kings and Royal Challengers Bangalore, will go to the families of victims of the Pulwama terror attack. 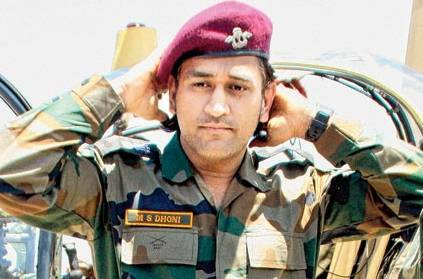 It is also announced that MS Dhoni who is the honorary lieutenant colonel of the Indian territorial army, will present the cheque. A big thumbs up to CSK for this gesture. This page contains news relating to various facts and events. The views are generally about current affiars and general topics in diversified areas such as political, international, national, and regional issues, sports, health, travel, lifestyle, technology and business. People having similar interets on the above topics will find this page useful. CSK to donate ticket sales of first game to Pulwama terror attack | Sports News.